Adoption fee: $300 includes altering and current vaccinations. Additional donations always welcome. Undergoing treatment for heartworm - just needs to keep her heart rate down so nice leisurely strolls for walks. It's not transmittable to people or other animals. Rescued from Tehama County. He was surrendered after her elderly owner fell and could no longer care for him properly. Has made significant progress since coming to rescue and is blossoming in her foster home. 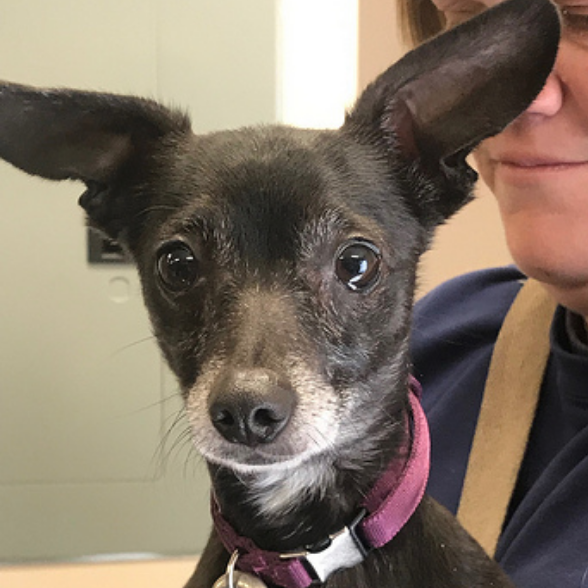 Will need a home that is patient with her after her stressful time in the shelter to allow her to continue coming out of her shell. Enjoys going on walks, but can still be a little skittish around crowds/loud noises. Trustworthy left loose in the house for extended periods of time. We'd like to rescue Haley from Lake County, but need to secure a foster first. 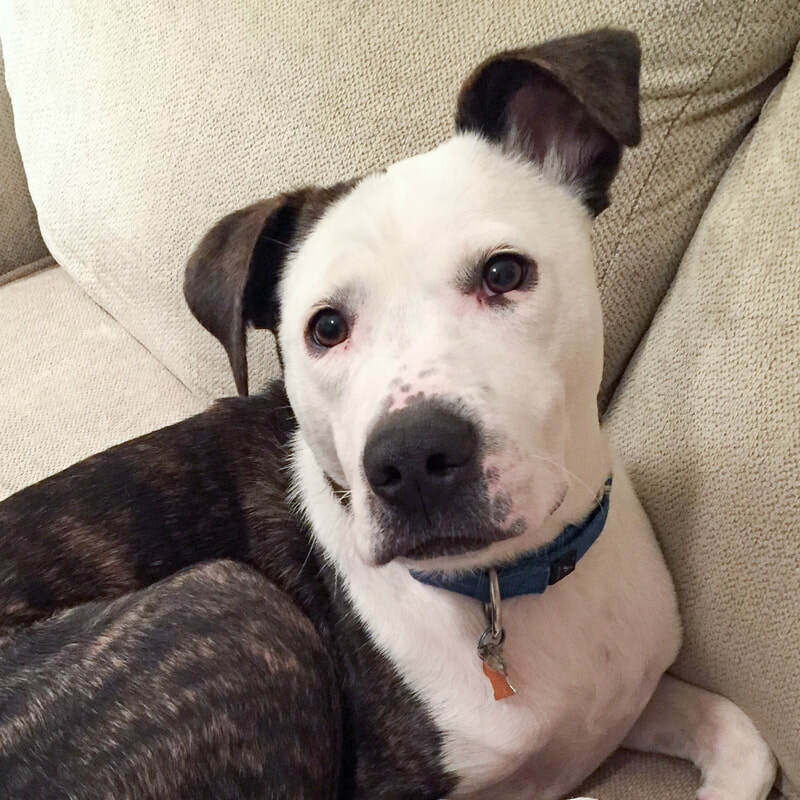 Haley is a friendly, affectionate girl, who likes to sit in laps and give kisses. She also walks well on leash and is friendly with other dogs. ​​​​​​​Adoption fee: $300 includes altering and current vaccinations. Additional donations always welcome. Leo is back with us after 5 months for no fault of his own. Adoption fee: $325 includes altering and current vaccinations. Additional donations always welcome. Great in crate, goes in easily and sleeps quietly through the night. Will do best in a home without children. Not particularly interested in other dogs and needs a slow introduction. PERSONALITY: Loves people, picky about his dogs friends, more to come! Adoption fee: $400 includes altering and current vaccinations. Additional donations always welcome. Mirage is a 3-5 year old Shepherd mix rescued from Tehama County. She came in one night in January and that evening gave birth to two puppies - Manni and Melea. Mom did a great job with her kiddos and is now ready for a home of her own. ​Adoption fee: $250 includes altering and current vaccinations. Additional donations always welcome. 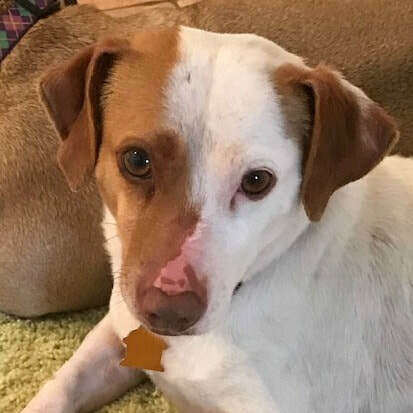 Laverne is a 2 year old Rat Terrier/Chi mix ( maybe some dachshund too?). She came to rescue with her sister Shirley from Oakland and both were pregnant. Laverne has done an amazing job raising her 5 puppies, its now her time to find a furever home. Did well meeting cats in her temporary foster home. Gabrielle is a 3yr old female pit mix that we'd like to rescue from Lake County, but need to secure a foster first. Gabrielle is a friendly, affectionate girl, who likes to sit in laps and give kisses. She also walks well on leash and gets along with other dogs. ​Adoption fee: $300 includes altering and current vaccinations. Additional donations always welcome. 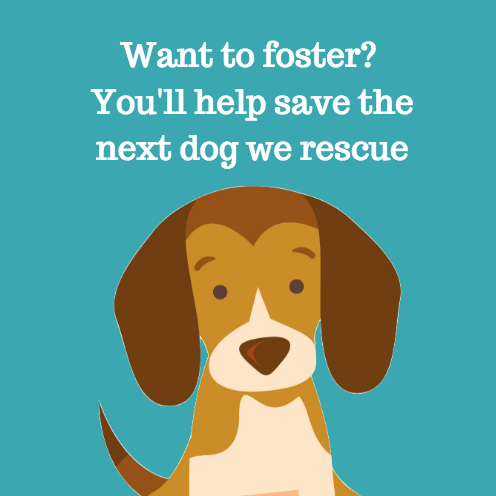 FOSTER STATUS: ​​ ​​​All set! 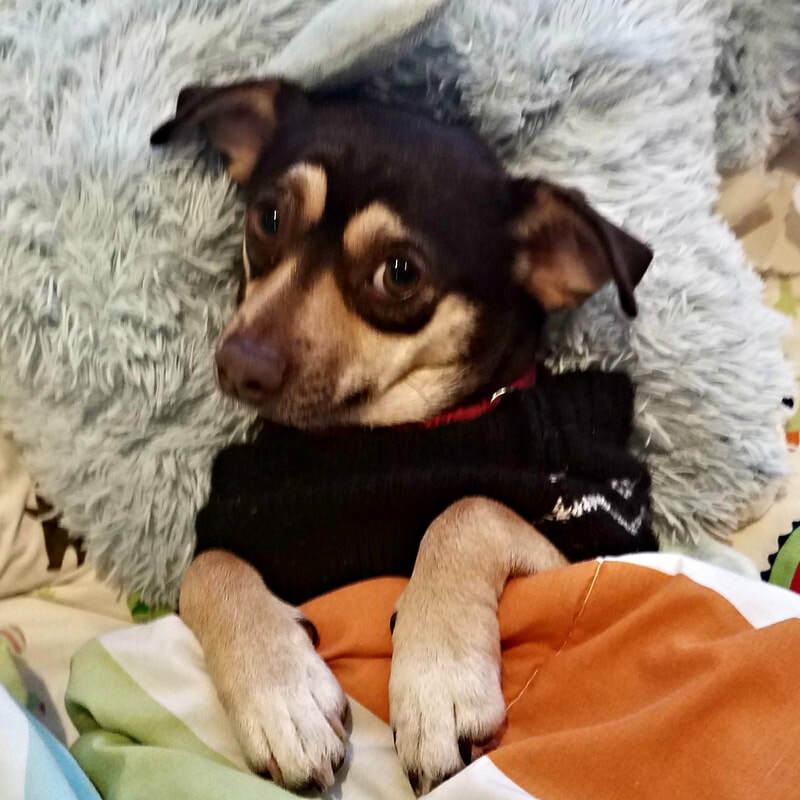 Dash is a 4-5 year old male chi mix, black and greying rescued from Orange Cove. ​Does great with other small dogs. A little shy/nervous meeting new people but if you go slowly he warms up quickly and loves your attention. Likes to be in your lap and nudge you for pets. Playful moments but will calm down . No interest thus far in treats or toys. 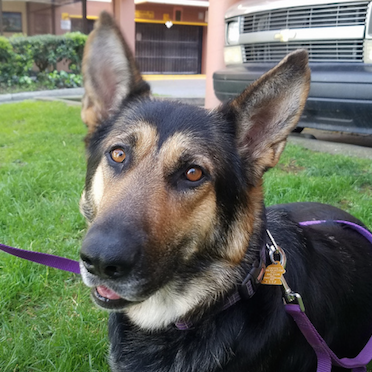 Gypsy is a shepherd mix about 2 years old rescued from Oakland. 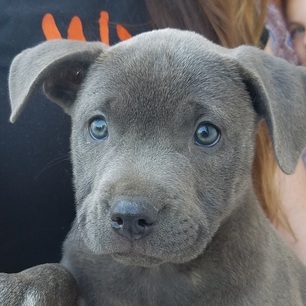 ​​Adoption fee: $325 includes altering and current vaccinations. Additional donations always welcome. Reserved but friendly. Good with other dogs. Slight aggression/fear when meeting new dogs, needs a very good introduction. Lives nicely with the dog in her foster home. ​Adoption fee: $325 includes altering and current vaccinations. Additional donations always welcome. 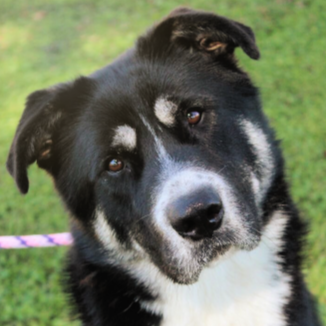 Bear, who was originally rescued from Lake County is back with us looking for a home. 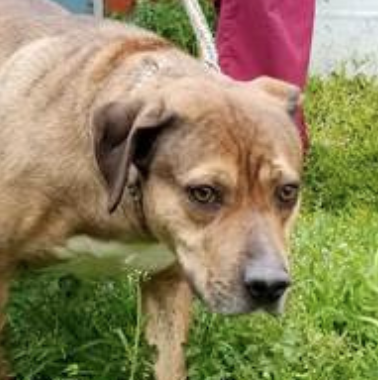 She is about 2.5 years old and likely a hound/pit mix. Does well at doggie daycare, but can be a little over protective on leash when with her pack. This is something she can work on with some training. Mozart was originally adopted last year as one of India's pups. He just turned a year old in early February and is once again looking for a home. He is likely Border Collie, Lab and does have some pit in him. He does have that sensitive border collie personality so confident dog experience is required. Rescued from Orange Cove. His family had to move and was unable to keep him. ​PERSONALITY: Playful, cuddly, and sweet. Good and submissive with other dogs after introductions. 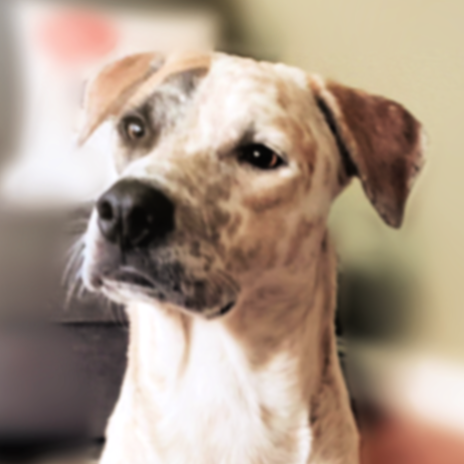 A little nervous about other dogs but warms up quickly after introductions and LOVES to play! Coco came to us back in May very pregnant. Her pups have all since been adopted and Coco has slowly been working on her socialization and trust. Knows "sit", "come", and "shake" very well. Needs slow introductions to dogs. Working on staying calm when she sees other dogs - she wants to play with all of them! Typical herding breed, she can get a little nippy when she gets excited, though saying "ouch" is effective at getting her to stop. May not be a good candidate to live in a home with young children. ​​​​​Adoption fee: $325 includes altering and current vaccinations. Additional donations always welcome. 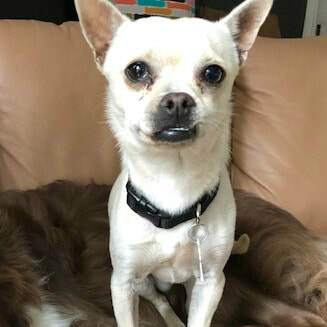 Adopted from us six months ago and now looking for a new home. 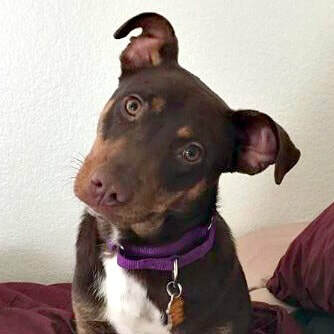 Odie is about 6 months old, chihuahua/terrier rescued from Tehama County. He was found out in the country with the rest of his extended family. 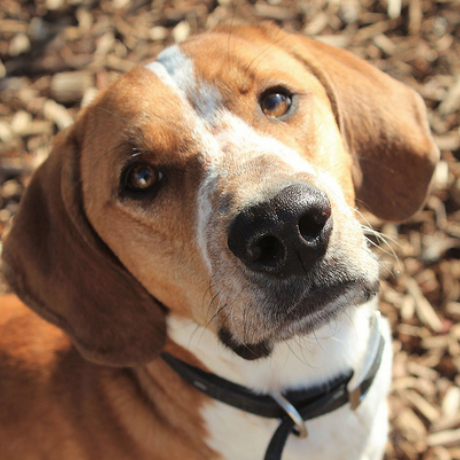 Tucker was originally rescued from Lake County, but is once again looking for a new home. Knows stay/sit/leave it/shake a paw/go get it. If something drops on the floor that he's not supposed to have, we can divert him with a quick "Leave IT!" and he won't try to go for it. Off leash: he does well with bigger dogs, he tends to ignore small dogs. 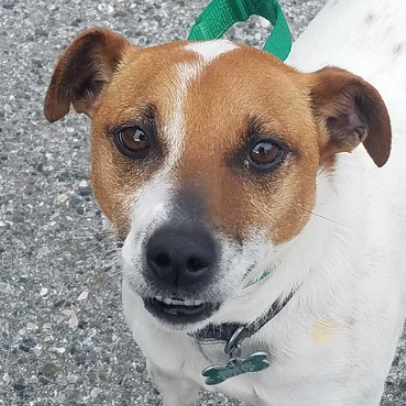 He is displaying some fear based issues with new people and outside the home while on leash with other dogs, and despite lots of training and modifications his stress level has been too high in his current home. you can tell he wants to meet new people but he's so afraid at this point and needs about 30 minutes to get to know you. Destiny is a 2-year old Lab mix we rescued from the streets of Puerto Rico. Cuddle bug, and always wants to be next to someone. Knows how to wait for her food, because she gets very excited. Does very well with other dogs, large and small! Loves to play with our dogs, and with toys! Needs to always have toys available because she likes to chew. Takes some time to warm up to new people, but once she bonds she is such a loving, fun, and cuddly girl. Does well in her crate when no one is home, and is getting better when there is someone home. She currently cries a little, then settles. ​ ​​​​​Adoption fee: $400 includes altering and current vaccinations. Additional donations always welcome. 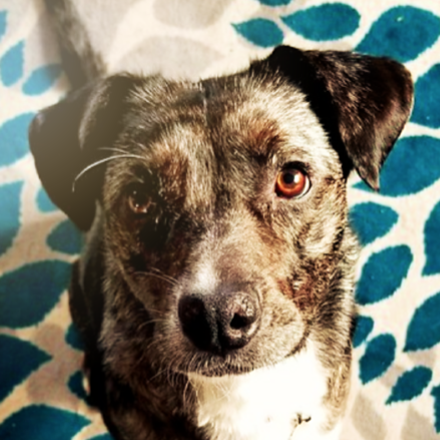 Formally known as Tiny Tim, Baloo, a shepherd/boxer mix, is now about 1.5 years old and looking for a new home, due to some life changes. 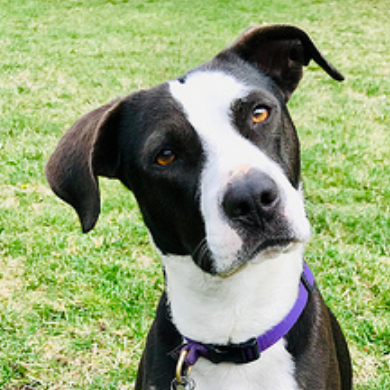 Bridget is a 2-year old female pit/border collie mix who came to rescue from Clearlake, CA after a report from a concerned neighbor noticed her abandoned in a nearby field. She had 9 one week old puppies in tow. Her pups have all been adopted - now it's her turn. Loves the ocean! Goes to Fort Funston and she's very good with the dogs on the beach. 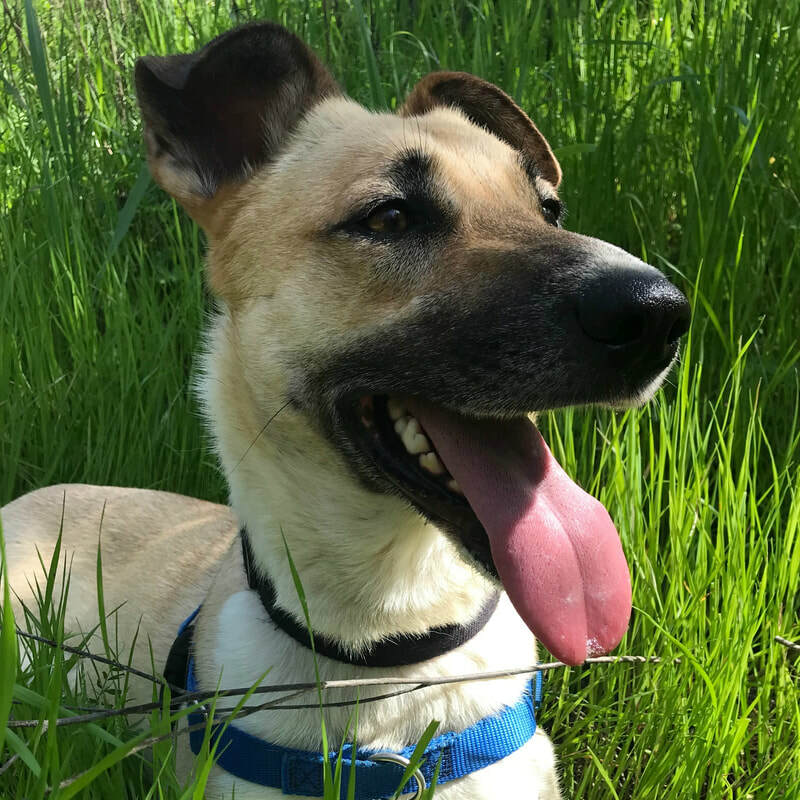 Kai is a 2 year old male Shepherd mix who was originally adopted from us as a pup. Kai is extremely smart and loves to "work." He thrives on having rules and structure in his home life. Kai did private training with Lori Hamilton's Dog Training and did extremely well. ​Adoption fee: $150, includes altering and current vaccinations. Additional donations always welcome. 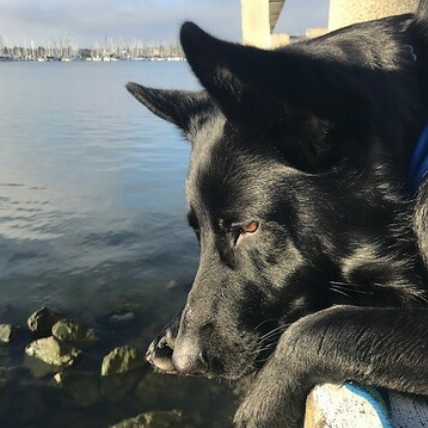 Jake is a 4 year old male Shepherd mix we rescued from Sacramento. Due to fear based issues he has had a harder time finding the best placement. ​In memory of our beagle Fred. " Every dog deserves to be loved". 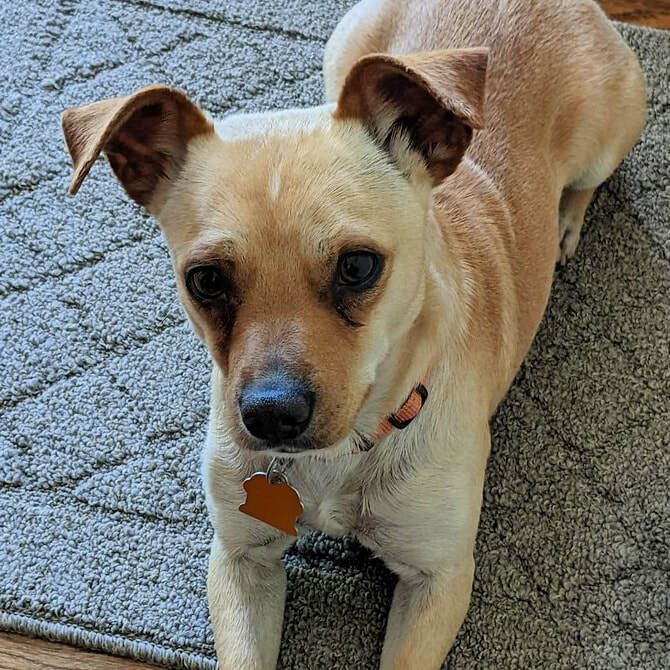 We hope that Scotty will soon find his furever family. ​​​Adoption fee: $325 includes altering and current vaccinations. Additional donations always welcome. Belle is approximately 2 -year old mostly Cattle Dog mix, though labeled as a pit mix at the shelter. She was rescued from Lake County. Belle is looking for a special home to work with her needs. Along with being deaf, Belle is a high drive dog who would thrive with a job or fun sport to keep her busy. She's so smart! includes altering and current vaccinations. 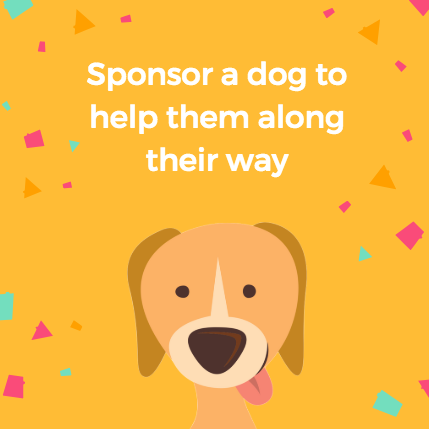 Additional donations always welcome​​​​. 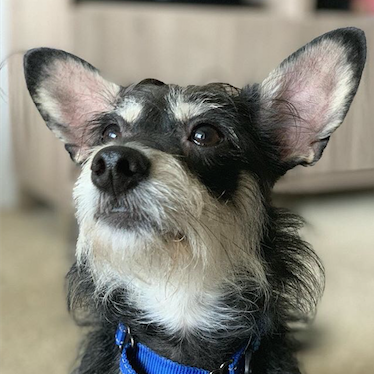 Sabrina is a 1-2 year old female terrier/chi mix we rescued when she was found on the side of a country road near Tracy along with her pups Hilda and Zelda. ​Very happy and friendly dog. Iinitially with her 5 pups. They have long since been adopted and it's now mama's turn. Has a lot of energy and enthusiasm, but she’s also capable of curling up and sleeping if nothing is going on. Rose is currently about two years old and from a large hoarding case so she has very little human contact her first year of life. She still is not trusting of humans and prefers the company of other dogs.